This name uses Spanish naming customs: the first or paternal family name is Diazayas and the second or maternal family name is Jimeno. Susana Diazayas (born Susana Arlett Diazayas Jimeno on February 26, 1979 in Toluca, State of Mexico, Mexico) is a Mexican actress. She was participant the pageant of Nuestra Belleza México 2000. Toluca[toˈluka], officially called Toluca de Lerdo[toˈluka ðe ˈleɾðo], is the state capital of the State of Mexico as well as the seat of the Municipality of Toluca. It is the center of a rapidly growing urban area, now the fifth largest in Mexico. It is located 63 kilometres (39 mi) west-southwest of Mexico City, about 40 minutes by car to the western edge of the city. According to the 2010 census, the city of Toluca has a population of 819,561. The city is the fifth largest in Mexico by population. The municipality of Toluca, along with thirteen other municipalities, make up the metropolitan population of 2,116,506 in Greater Toluca as of 2015, making it the fifth most populous metropolitan area in Mexico. 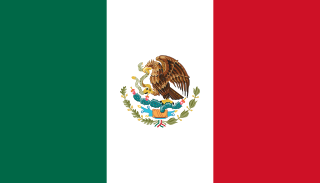 The State of Mexico is one of the 32 federal entities of Mexico. It is the most populous, as well as the most densely populated state. It is divided into 125 municipalities and its capital city is Toluca de Lerdo. Como dice el dicho is a Mexican anthology drama series produced by Genovena Martínez for Televisa. The series premiered on February 1, 2011 on Las Estrellas, and is currently airing its eighth season. La Rosa de Guadalupe is a Mexican anthology drama television series created by Carlos Mercado Orduña and produced by Miguel Ángel Herros for Televisa. The series is allusive to the Catholic religion, specifically to the Nuestra Señora de Guadalupe. It is set in modern times mostly in Mexico City, but the location may vary in some episodes. It premiered on February 5, 2008. As of 2017, the actress Helena Rojo is the presenter of each episode. Laisha Wilkins is a Mexican actress, talk show hostess and producer. Barrera de amor is a Mexican telenovela produced by Ernesto Alonso for Televisa in 2005. Primer amor, a mil por hora is a Mexican telenovela produced by Pedro Damián for Televisa in 2000. It is a remake of another Televisa telenovela titled Quinceañera. This teen-oriented soap was one of the highest-rated in its time-slot. Lorenza Hegewisch, is a Mexican actress. From 1993 to 1995, she studied acting at Televisa's Centro de Educación Artística (CEA) and obtained her first role in the telenovela Canción de amor (1996). She later made her debut in TV Azteca with El Candidato (1999), where she portrayed Barbara, the opposing candidate's daughter. In 2002, Hegewisch participated in El tío Alberto as Susana. She is sometimes credited as Lorenza Hegewicz. Susana González is a Mexican actress and model. Entre el Amor y el Odio is a Mexican telenovela produced by Salvador Mejía Alejandre for Televisa in 2002. Based on radionovela Cadena de odio by Hilda Morales de Allouis. Triunfo del amor is a Mexican telenovela produced by Salvador Mejía Alejandre for Televisa. It is a remake of the telenovela El Privilegio de Amar, which itself is a remake of the Venezuelan telenovela Cristal. Qué bonito amor is a 2012 Mexican telenovela produced by Salvador Mejía Alexandre for Televisa. It is based on La Hija del Mariachi, produced by Colombian's RCN Television and written by Mónica Agudelo in 2006-2007. Por siempre mi amor is a Mexican telenovela produced by Ignacio Sada for Televisa. It is a remake of Mi segunda madre, produced by Juan Osorio in 1989. ¿Quién?, is a Mexican telenovela produced by Guillermo Diazayas for Televisa in 1973. Starring Silvia Pinal and Joaquín Cordero. El chofer, is a Mexican telenovela produced by Guillermo Diazayas for Televisa in 1974. Starring Jorge Rivero and Linda Cristal. El juramento, is a Mexican telenovela directed by Guillermo Diazayas for Televisa in 1974. Starring Marga López and Jorge Martínez de Hoyos. Rosalía is a Mexican telenovela produced by Guillermo Diazayas for Televisa in 1978. Rosario de amor is a Mexican telenovela produced by Guillermo Diazayas for Televisa in 1978. Honrarás a los tuyos is a Mexican telenovela produced by Guillermo Diazayas for Televisa in 1979. La llama de tu amor is a Mexican telenovela produced by Guillermo Diazayas for Televisa in 1979. Sí, mi amor is a Mexican telenovela produced by Guillermo Diazayas for Televisa in 1984. Is a remake of the Venezuelan telenovela La hija de nadie produced by RCTV in 1982. Te amo is a Mexican telenovela produced by Guillermo Diazayas and directed by Enrique Segoviano for Televisa in 1984. It starred Lourdes Munguía, José Roberto, Aarón Hernán, María Rubio and Norma Lazareno. El rincón de los prodigios is a Mexican telenovela produced by Guillermo Diazayas for Televisa. It stars Demián Bichir, Alma Delfina, Tina Romero, Juan Carlos Serrán and Jorge Russek. This article about a Mexican actor or actress is a stub. You can help Wikipedia by expanding it.